I read this article and found it very interesting, thought it might be something for you. The article is called Google Friendly Website and is located at https://ristaseofze.com/google-friendly-website/. Google is the largest search engine which processes over 40,000 search queries every second. It has several robots and programs that run 24X7 and these robots search the entire Internet and collect the data of each and every website in this world. They have certain parameters for evaluating a website and based on that, they rank the website on their search results. A Google Friendly Website ranks higher in the search results. As a result of that, it gets more visibility and hence more traffic. Making Your Website Google Friendly is the process of making certain changes on your website so that it can score high in Google’s evaluation and its chances of getting ranked higher can be increased. In other words, we can say that it is the process of making your website talk to Google in an easy and friendly way. A Google Friendly Website gets more visibility and hence more traffic. URL: Your website url is one of the most effective factors in making it Google Friendly. It should not contain irrelevant characters and preferably should have targeted keywords in it. Organized directory structure and relevant words in the url makes it easy to understand and helps Google bots in better crawling. Title: Title is like the subject of your web page. It tells Google what your web page is about. Incorrect Title confuses Google robots and lowers down the ranking. It’s important to have the accurate and relevant title of each page for both Google and users as it is displayed in the search results. Creating unique title tag for each web page helps Google know how the page is different from the other pages of the same website. Meta Description: Meta Description is the summary of your web page. It should clearly state what the page is about. Meta Description is also visible to the user. A well-defined keyword based Meta Description gives a clear summary of the page to both, Google and users. Content: Google reads each and every word of all the websites. Keyword based content with simple language gives huge credit for ranking higher. Useful and compelling content mixed with the right keywords adds value to the user’s life and Google gives you credit for this. Google Business Verification: If you have a physical office or store, get it verified with Google. After verification, Google will mark your business as Verified and include it as a trusted and verified business on its map. It makes your brand a trusted one for both, Google and users and gives credit for ranking higher. Website Speed: Site Speed is an important ranking factor for Google. The reason is simple, faster loading site provides a good user experience. So, Google gives it preference. Google provides free tools to test your website speed and also gives you a detail report on how to fix the problems. Internal Links: Linking all pages of a website with one another in the Right Way makes a Google friendly site architecture and helps Google understand the entire site better. Internal Links also help users in better navigation. Social Media Integration: Google loves the websites which are listed on top social networking sites like, Facebook, Google Plus, Twitter, LinkedIn and YouTube. Google gives extra credit for brands. A business that has taken time to list its name on social media appears to be more brand conscious to Google. 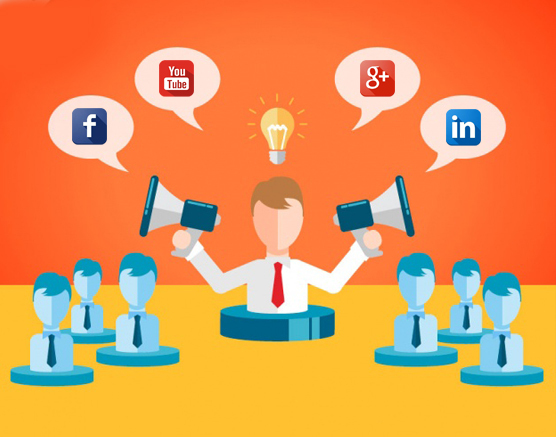 Moreover, these social medias also give addition traffic to the website. YouTube Video Embed: Google uses average time spent on your website by users to calculate how good your website is compared to others. If there is a short video on your website about product demo, a message from the owner or services provided by the company, it will keep people from leaving your side too quickly. Moreover, YouTube is the 2nd largest search engine after Google. So chances are you can get traffic to your website from YouTube as well.